Kumba is now significantly overvalued on a fundamental evaluation. 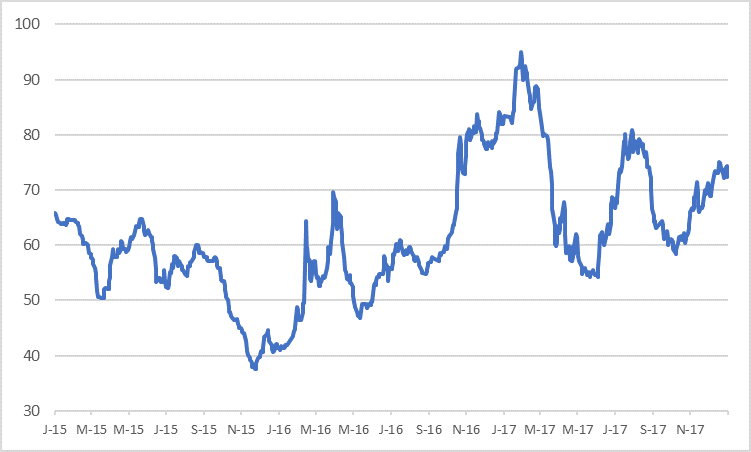 Despite easing back to around R350 per share from highs above R400 a fortnight ago, the stock is very expensive even if 62% Fe fines spot iron ore at $74/ton had to prevail for an extended period. Given the sensitivity to movements in the rand and iron ore, a fairly small change up or down on pricing, if maintained over a year, has a disproportionate effect on profitability. 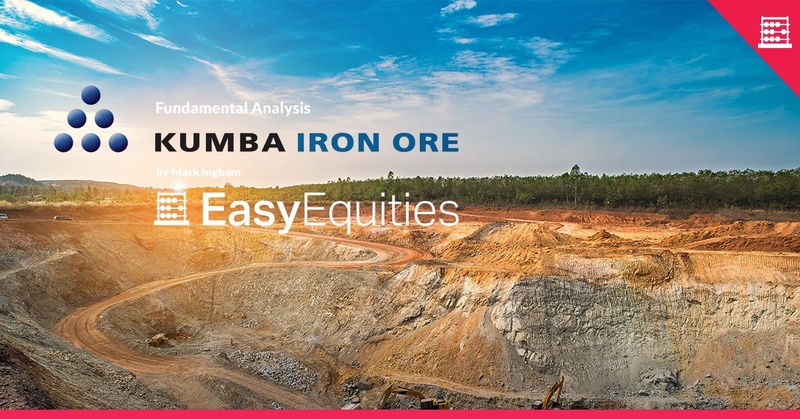 Kumba is closer to breakeven at $50/ton now that the rand has firmed substantially but the company is helped by the quality of Kumba saleable grade at Fe 64%. Commodity price projections are generally being edged up by analysts, and that includes iron ore, so levels above $60/ton are now the norm but still below current levels. However, industry fundamentals are supportive in the short term. Whilst the year to December 2017 will end on a firm note, with EPS around R30, and a dividend R30 too, this is as good as it gets for now. 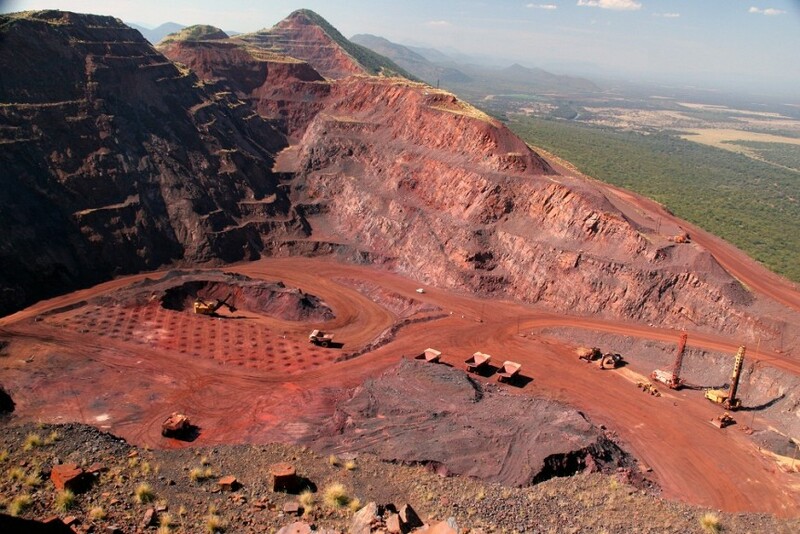 A firmer iron ore price is now coinciding with a firmer rand, which is not positive for future Kumba earnings. Most sell-side analyst forecasts are assuming a weaker rand. But the rand is now at under R12/$ and likely to have a firming bias given changing political dynamics. It is also worth remembering that Kumba only reinstated the dividend in the first half, previously keeping its powder dry for a tougher trading expectation. The payment was R15,97 for the interim dividend. Things have changed for the better in only a short period and but could also switch back. The exchange rate had already strengthened to R13,21$ for the six months to 30 June 2017 compared with R15,40/$ in H1 F2016 and R14,69/$ for the year ended 31 December 2016. The average for F2017 will be about R13,40/$. Kumba’s breakeven level had already moved up to $42/ton in H1 F2017 and given further strengthening around $50/ton is the new breakeven region. For H1 F2017, the average realised iron ore export price was $71/ton, up from $55/ton in H1 F2016. For F2017 the iron ore price will also average $71/ton, more than 20% higher than in F2016. This means that iron ore is going to have to stay at well above $70/ton for 62% Fe fines if earnings aren’t going to get clobbered in 2018. As it is, I expect a firm end to F2017, with earnings at R5 billion for the second half compared with R4,6 billion for the first half. Full year earnings of R9,6 billion compare with R8,6 billion in F2016 and R4,2 billion in F2015. Earnings were at a high of R15,4 billion in F2013. EPS for F2017 of R30 compares with R27 previously. But 2017 is history. 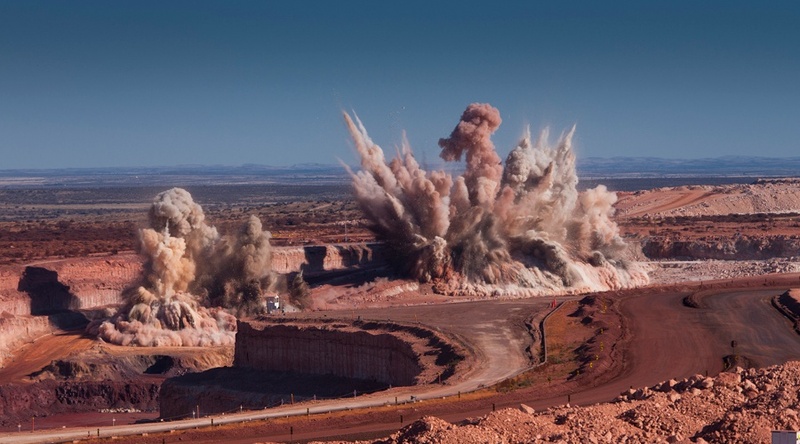 I have adjusted earnings for F2018 and F2019 and both years suggest a sharp fall on conservative assumptions relative to prevailing iron ore market conditions. However, there are industry positives. With capacity utilisation in the Chinese steel industry holding up the quality disparity is high. Steel inventories are also lower than usual. The seaborne surplus is tiny and there is not much new capacity rolling through out of Australia and Brazil. Most commodity analysts have firmed up on their commodity price projections and this also applies to iron ore. Whereas $55/ton was the going rate recently for the next few years, levels above $60/ton are now assumed. But even $60/ton is not sufficient to keep Kumba earnings at R30. Assuming an iron ore price of $65/ton for 62% Fe fines in 2018, the currency at R12,50/$, total sales of 43 million tons (of which 40 million is export), then I arrive at revenue of R39 billion. Assuming expenses increase by 5% the operating profit still slips to around R12 billion from an expected R16 billion in F2017. This means earnings dip from R9,6 billion to R6,1 billion or R19 per share. Similarly, even if we have an average price for iron ore of $60/ton in F2019, it would need an exchange rate of around R13,50/$ just to keep earnings above R5 billion or R15,65 per share. If the exchange rate averages closer to R12,00/$ then earnings fall below R4 billion or R12,50 per share, even with strict expense control. The balance sheet is looking good with net cash balances comfortably above R10 billion, despite the dividend payout. However, as earnings slip I would expect Kumba to restrain the payout ratio to 50% or a cover of 2x. For F2017, Kumba will payout 100% of earnings, but that should not be assumed to continue. If I look at a scenario of R19 in EPS for F2018, down 37% of F2017, then a dividend of 950 cents is assumed, down 68% of the R30 estimated for F2017. If I work on F2019 EPS of around R14 then that would imply a dividend of 700 cents. However, should a stronger for longer iron ore price prevail, say between $75/ton and $80/ton, then earnings and thus dividend will be higher than currently modelled. So even with a stronger rand, it would be feasible for EPS to be closer to R30 in F2018 rather than R19 in that scenario, in other words in line with F2017. Whilst Kumba doesn’t seem too pricey at a F2017 annual PE ratio of 11,6x and a yield of 8,6% it looks far less attractive on a forward basis. The forward F2018 PE, based on my latest estimates, is 18,4x with F2019 increasing to 25,0x and with the respective yields 2,7% and 2,0%. Based on historic valuation norms, Kumba is materially overpriced. In fact, the current dividend yield is close to historic norms but not the forward yields. A yield of 8% based on my current F2018 estimate would result in a share price of around R120 per share going forward if the historic norm is any guide whereas a share price below R90 is indicated on this basis for F2019. A discounted cash flow calculation results in fair value of around R120. 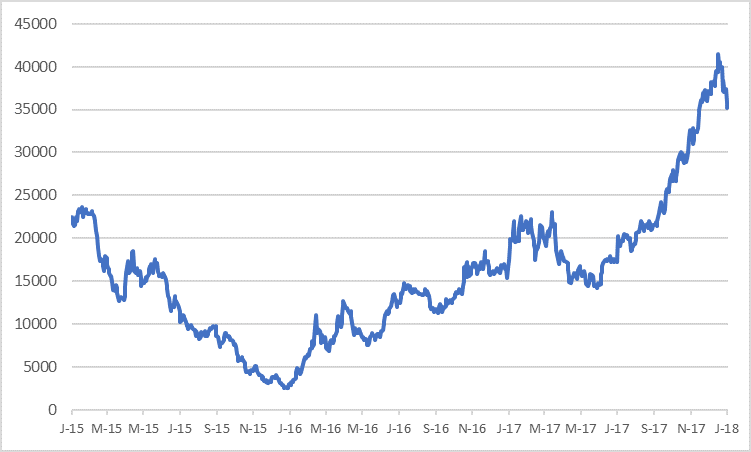 Even pricing for spot iron ore, which the Kumba share price has often tracked, I get to a price of no more than R250 on a medium-term view. I am placing fair value and target price at R190, building in some fat for a stronger for longer iron ore market. This is a stock that was worth as little as R25 two years ago, a sobering thought in view of the roller coaster behaviour of the share price and the boom and bust cycle we see in commodities. 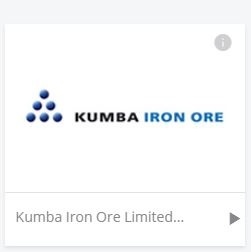 Kumba is a Trading Sell and a Portfolio Sell.